Software for managing customer service and support - for all phases of the process. The PhaseWare Tracker Suite works in conjunction to create a fast, secure, and dependable solution to a large number of customer support issues. With PhaseWare at your command, your business will offer legendary support. Tracker is a complete customer support solution that can be tailored to your specifications. Be it issue tracking, complaint management, CRM, time tracking, SLA compliance, process management, knowledge management, and more. Create tickets from Outlook emails, send email notifications, and automate your support process. Manage a limitless internal/external knowledge base of solutions, FAQs, downloads, forums, and notices. Design and run reports, set up and view Dashboards, track using audit trails, run billing, and much more. 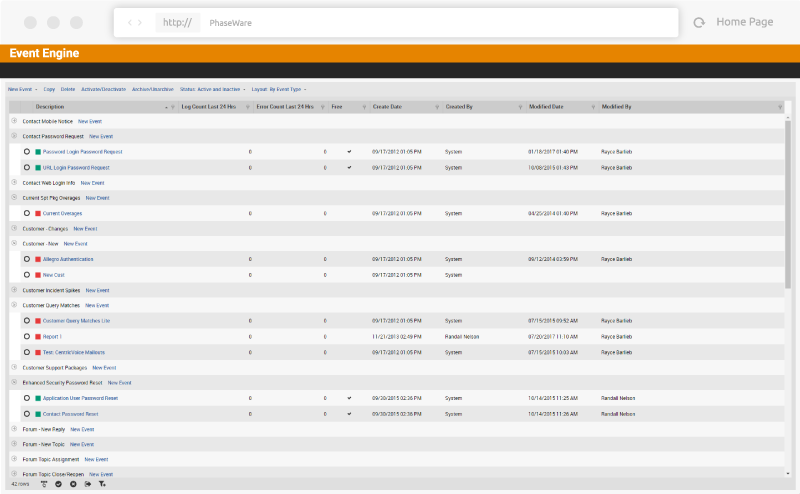 Create tickets directly from chat sessions via integration with the incident management system. 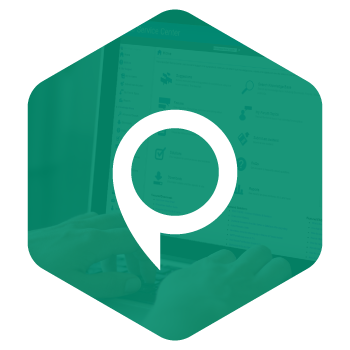 PhaseWare’s SSC allows customers to submit tickets and search a knowledge base of FAQs, solutions, downloads, and forums to resolve their own issues. Customer's demand customer support that is available 24/7/365 and SSC delivers. Submit incident tickets and check the status of their existing trouble tickets. 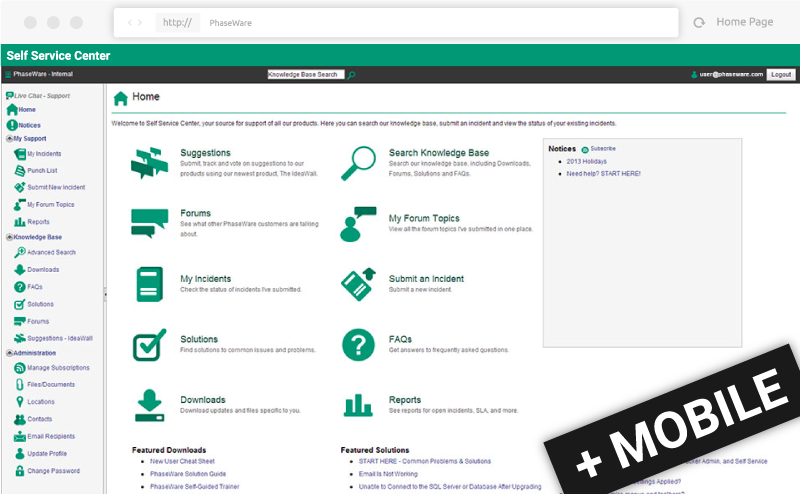 Search: knowledge base, solutions, downloads, forums, notices and FAQs. Engage customers and offer peer support through forums and communities. Receive customized notifications regarding incident status and resolution. 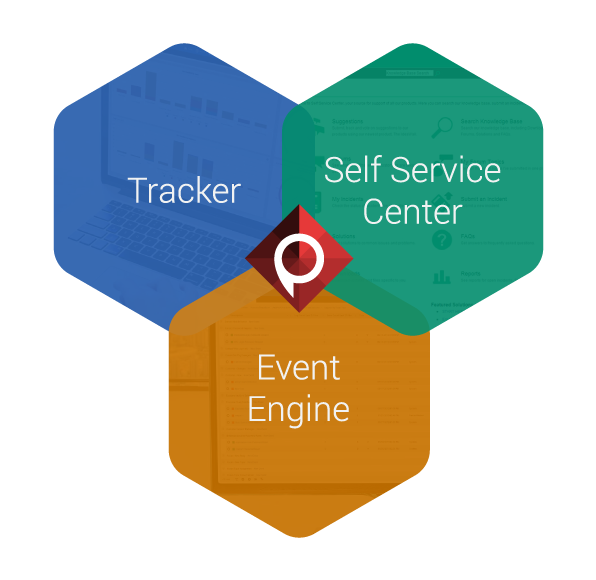 PhaseWare's Event Engine is a powerful business rules engine for complex service and support delivery environments. This tool allows you to fully automate and further customize your PhaseWare experience. Automatically initiate actions based on customized thresholds and predefined business rules. Decrease or eliminate SLA violations with highly configurable SLA controls within the Event Engine product. 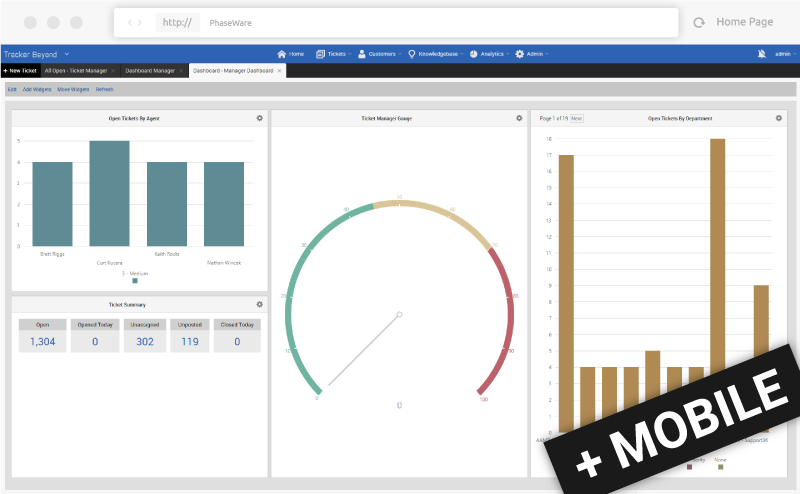 PhaseWare Tracker Suite features work together to create a completely configurable solution. 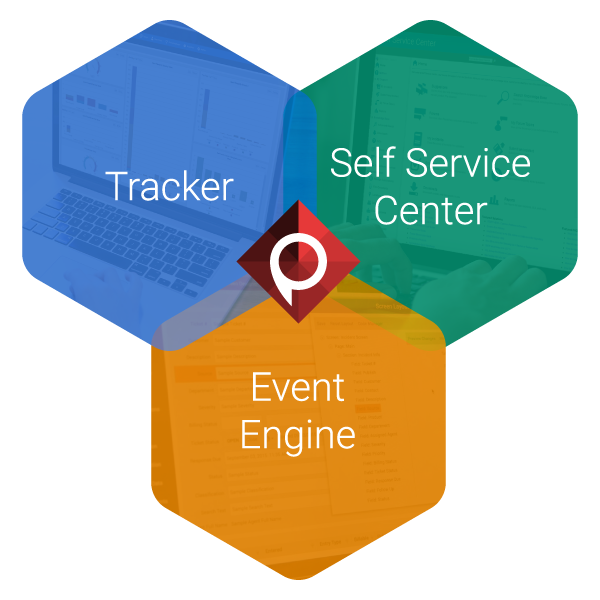 Tracker and the Self Service Center are automated using the Event Engine to create a proactive customer support system for medium to large sized businesses. PhaseWare offers a variety of deployment options. Go hands-off with our cloud based solution. If your needs include rigorous security standards, ask us about our Secure Cloud deployment option. If you need control over your data, our on-site deployment is what you're looking for. Host with PhaseWare and we will set everything up for you, monitor your database, and perform routine backups. Our single-tenant, secure cloud option is both HIPPA compliant and HITRUST certified. Active monitoring will keep your customer data secure through every level of the stack. Install the full-featured Tracker application(s) on your own server(s). We will assist you every step of the way. Set up the Tracker Suite on your own Servers. PhaseWare Tracker Suite products work in conjunction to create a fast, secure, and dependable solution to a large number of customer support issues. With the PhaseWare Products at your command, your business or organization will become a customer support champion offering legendary support to all of your customers and contacts. 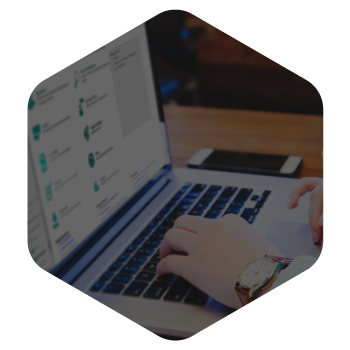 Issue tracking, complaint management, CRM, time tracking, SLA compliance, process management, knowledge management, and more—Tracker is a complete customer support solution that can be tailored to your specifications. Customer's demand customer support that is available 24/7/365, at the workplace and on the go. 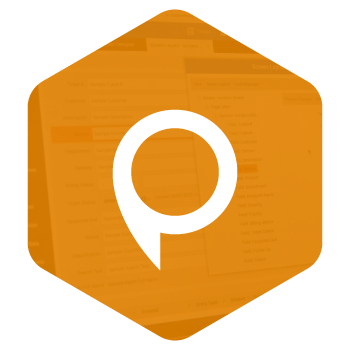 PhaseWare’s SSC allows customers to submit tickets and search a knowledge base of FAQs, solutions, downloads, and forums to resolve their own issues. 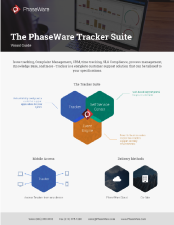 The PhaseWare Tracker Suite can be installed on-site or on the PhaseWare cloud. Whether you purchase our licensed product or opt for the SaaS solution, you will have all the same features and benefits. Incident management software with full Customer Relationship Management (CRM), SLA tracking, Knowledge Base Management (KM), reporting, robust searching, and much more. Customer self-service, knowledge base access, ticket submission, crowdsourcing, and peer support through forums and communities will heavily deflect routine calls. Customer and contact information, incident details, history, status, and solutions are integrated into a single, easy-to-use interface. Track incident duration (from creation to resolution) and total time spent working on incidents, individual correspondence, and one-on-one customer interactions. Automated alerts and notifications for anything, based on any conditions, can alert your agents to escalations, critical issues, deadlines, and much more. Everything that happens to a ticket, customer, or event gets logged from end-to-end: whether it's a business rule, comment, status change, or reassignment—you have a complete audit trail for future reference. Through the Self Service Center, your contacts can chat live with your agents. You can set up multiple chat channels, determine custom chat hours, create tickets from chat sessions, view chat history, and much more. 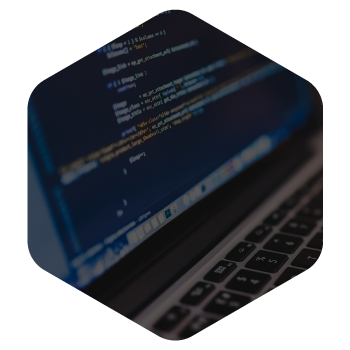 Easily configure any aspect of the application suite. Add fields, labels, colors, and controls to Tracker. Customize logos, icons, and colors in the Self Service Center. Tailor user and contact security, and dropdown lists to your heart's content. 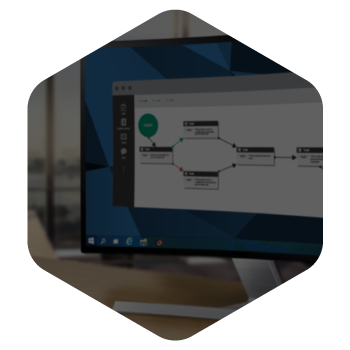 Design, execute and manage WorkFlows using our visual designer to streamline your business processes. Connect your systems, customer data, and various teams using our integration tools and powerful API. Put choice back in the customer’s hands by integrating voice, E-mail, web, and chat support into a single solution. To see more of PhaseWare's features, head over to our Features Page and get your checklist ready. Don’t wait. Request a demo to see how the Tracker suite can help your customer support workflow.